From the pink ribbons to the chat rooms to the Web sites that sell related accessories and stuffed animals, breast cancer has morphed from a disease to an experience. And at every step of the way, society tells women that this experience can teach them profound lessons, transform them into wiser, more insightful people, and maybe even give them a peek at the meaning of life. 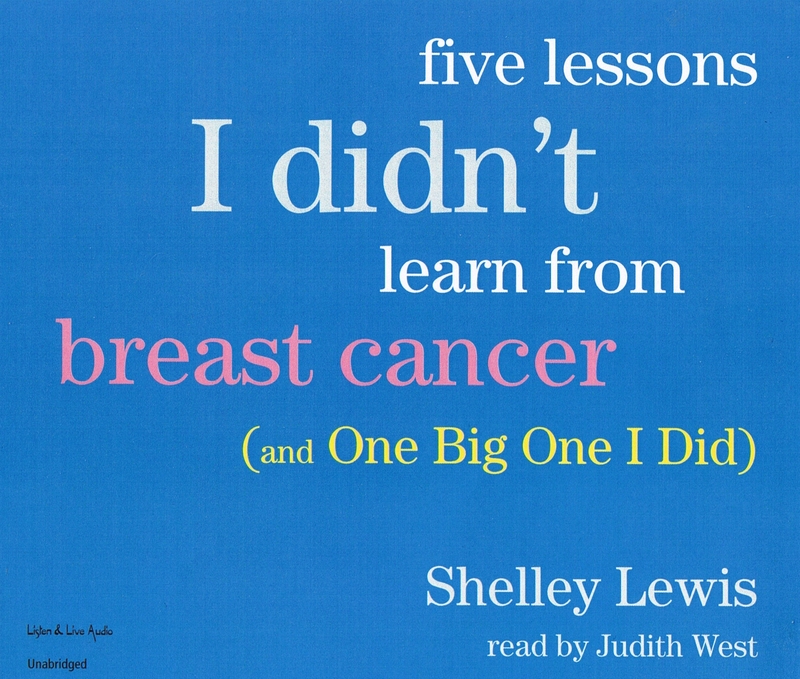 Five Lessons I Didn't Learn From Breast Cancer is Shelley Lewis's thoroughly modern, slightly contrarian take on "doing" breast cancer in an epiphany-free zone, where the goal is simply to get through it and get the hell back to your life. Proving that chemotherapy can eradicate everything except a sense of humor. Lewis shares her five strategies for coping, and then reveals the real, not-so-meaningful insights learned from breast cancer, including "If you honestly think breast cancer is a gift, you can't come to my birthday" and "Lie to yourself (it's sooo helpful)." A wonderful interweaving of the author's personal story, interviews with breast cancer survivors, and a sharp-eyed journalist's look at the breast cancer "community." Five Lessons is full of unconventional wisdom, unexpected advice, and hilarious observations about life inside the pink bubble. Shelley Lewis was a senior vice president of programming at Air America Radio from 2003-2005. Before that she spent 25 years in the mainstream media, executive producing news and information programs ranging from Real Life with Jane Pauley at NBC, to World News Now with Aaron Brown and Lisa McRee, and Good Morning America at ABC News. At CNN she was executive producer of Greenfield at Large, and American Morning with Paula Zahn. Lewis, a native of Omaha, Nebraska, received her BFA in film and television from NYU. Judith West, a resident of Chicago, has collaborated on audiobooks ranging from stylish mystery to parenting, high-tech sci-fi to popular biography and history. She received her BA and MA in Speech and Literary Performance/Oral Interpretation from the University of Texas. Active with numerous Chicago theatres, she created the role of Aunt Dahlia in City Lit's Bertie and Jeeves adaptations, performed in Craig Figtree's No'l Coward cabaret, and originated several roles in Christopher Cartmill's acclaimed Light play series.